You can listen to 'Skyfall' here. 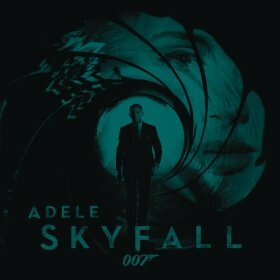 Skyfall is on the radio for over a month and has become a number one hit in The Netherlands, showing Adele's stature as a singer. The fact that she was asked to sing and write the new James Bond theme song is prestigious if we look at the long list of singers who preceded her. What I wondered hearing Skyfall for the first time was, will this be the instant classic that will be associated with James Bond forever? Just like 'Goldfinger' the 1965 hitsingle by Shirley Bassey? My best guess having seen Skyfall, is yes, it will. The song is as majestic as the movie is. Skyfall, the movie is everything a James Bond movie should be and Skyfall the song is the perfect soundtrack to it. The song will prove to be timeless. There's is no time and age effect in there like 'A view to a kill' by Duran Duran or Aha's 'The living daylight' were or just another great Paul McCartney song and hit, like 'Live and let die' has become. Skyfall is also much better than Carly Simon's 'Nobody does it better', that aimed for the same effect. 'For your eyes only', Sheena Easton's attempt comes close, also a number 1 hit, but Skyfall is so much classier. It is all Bond is: extremely cool, calculating, cooled passion and full of class. 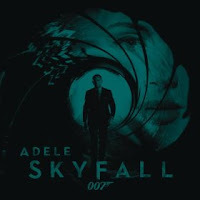 To all appearances Adele and Paul Epworth seems to written the ultimate Bond Theme, with just a hint of the classic John Barry theme worked in there. Hearing Skyfall in the movie theatre with the big sound system behind it, feeling the layers of basses in there right after the spectacular opening scene in the bazaar of Istanbul totally convinced me. The best theme ever to what certainly is one of the best Bond's ever.